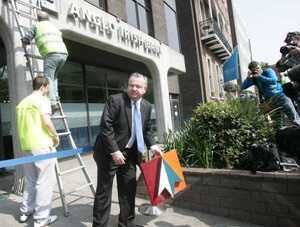 The first day of the case taken by businessman Sean Quinn’s five children against Irish Bank Resolution Corporation – centring on €2.34bn in loans given by the then Anglo Irish Bank to Quinn companies – began this morning. 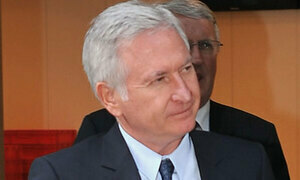 The case is expected to last six months while 49 witnesses are expected to give evidence. Posted in Misc and tagged children, High Court, IBRC, Sean Quinn at 2:17 pm on March 12, 2019 by Bodger. 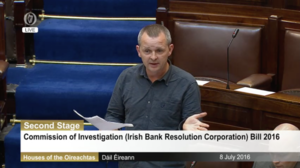 You may recall the publication of the Second Interim Report of the Commission of Investigation (Irish Bank Resolution Corporation) at 9pm last Friday evening before the May Bank Holiday weekend began. This was two weeks after Justice Brian Cregan completed the 29-page report which has been beset by issues of confidentiality. 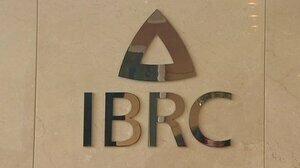 The report noted that the Commission has so far cost €3,663,998 – including €631,000 for its own salaries, legal costs, rent, building overheads, services and administration costs; €2,786,998 for the special liquidator of IBRC (KPMG); and €246,000 for the Department of Finance for its ‘external legal costs’. 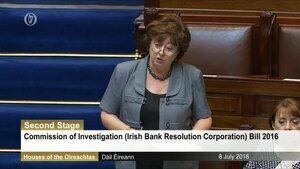 Catherine Murphy:“… I raised an issue last week at the Whips’ meeting about the Cregan inquiry which reported to the Taoiseach on 15 April. It was published last Friday night and I understand there is an extension of time again. The Taoiseach needs to give some clarity on where this inquiry is going because it requires legislation on both privilege and confidentiality if it is to proceed. The judge could not have been clearer on what is required. 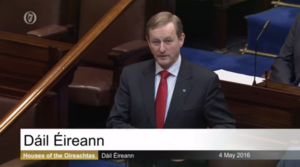 Posted in Misc and tagged Catherine Murphy, Commission of Investigation, Enda Kenny, IBRC, Siteserv at 1:57 pm on May 5, 2016 by Broadsheet. 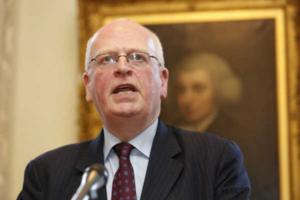 You may recall how Mr Justice Brian Cregan was appointed to carry out a Commission of Investigation into IBRC on June 16, 2015. 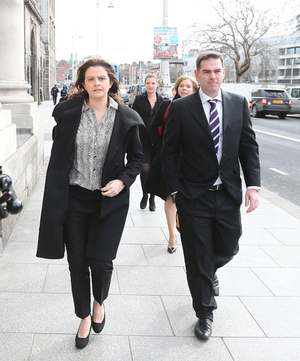 The commission’s establishment followed Social Democrat TD Catherine Murphy asking Finance Minister Michael Noonan questions about the sale of Siteserv to a company owned by Denis O’Brien. 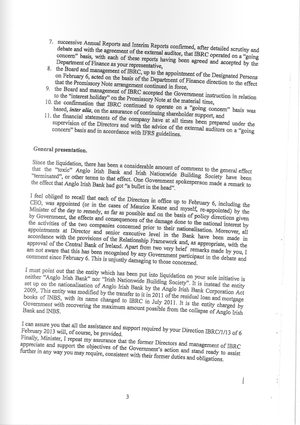 The former chairman of IBRC Alan Dukes sent a letter to Finance Minister Michael Noonan on February 14, 2013 – a week after IBRC went into liquidation. 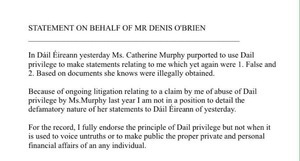 This letter was obtained from the Department of Finance by Ms Murphy, following a Freedom of Information request. 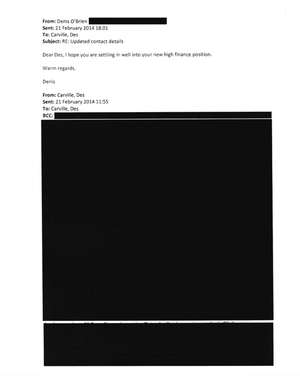 Readers will note there were three sentences redacted in the letter of February 14, 2013. 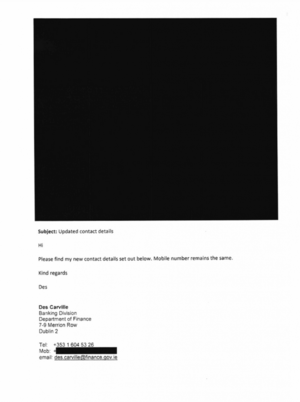 Following an appeal to the Information Commissioner, the commissioner annulled the decision of the department to redact these sentences. It found the manner in which the Department had processed the request “most unsatisfactory” and not in keeping with the statutory provisions of the Freedom of Information Act. 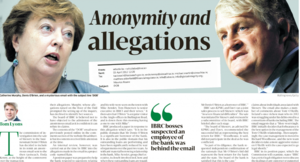 …The ruling by Stephen Rafferty, an investigator in the information commissioner’s office, was made on February 8 but only made public last Thursday. 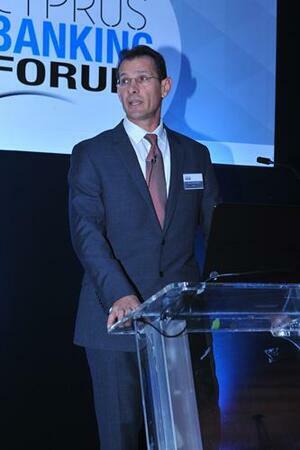 The department has until March 1 to lodge an appeal to the High Court. …When told what the redacted portion of Dukes’s letter says, Murphy replied: “It’s strange the department would have redacted that. It obviously gives a clue about something. There seems to be a surprisingly small amount of information [available] about the relationship between the department and the bank, given how bad we know that relationship was. 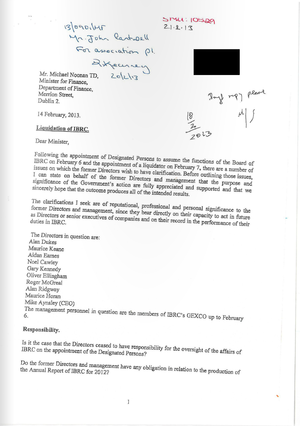 Posted in Misc and tagged Alan Dukes, Catherine Murphy, FOI, IBRC, Michael Noonan, Siteserv at 12:19 pm on February 22, 2016 by Broadsheet. 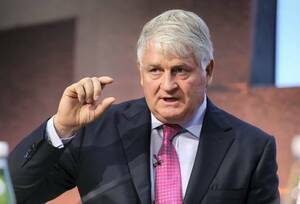 You may recall how the sale of Siteserv to Denis O’Brien’s Isle-of-Man-based acquisition vehicle Millington in March 2012 came after Davy Stockbrokers and KPMG were tasked with finding a buyer by a subcommittee of the Siteserv board. 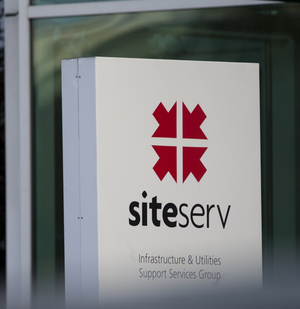 Des Carville was the Davy adviser to Siteserv during the sale. 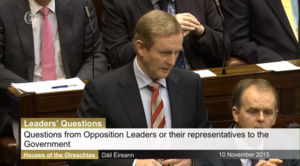 Mr Carville previously helped Davy to advise Mr O’Brien on deals involving Esat. Some 18 months after the sale of Siteserv, in November 2013, Mr Carville, a former KPMG employee, joined the Department of Finance as Head of its Shareholder Management Unit. 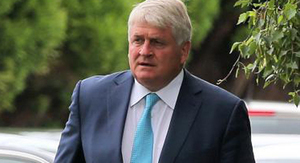 Posted in Misc and tagged Denis O'Brien, IBRC, Siteserv at 12:37 pm on January 18, 2016 by Broadsheet. 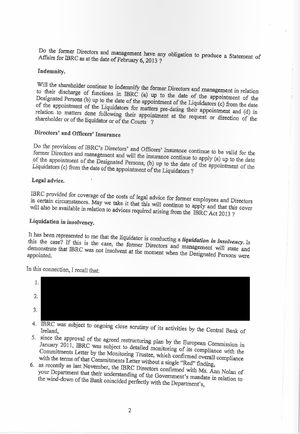 Posted in Misc and tagged Commission of Investigation, Dail, IBRC, Siteserv at 3:46 pm on November 10, 2015 by Broadsheet. 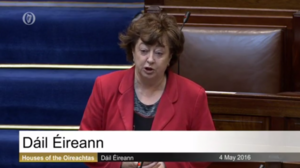 Posted in Misc and tagged 166, IBRC, interest rate, Loans at 12:43 pm on June 26, 2015 by Broadsheet.